Paneer Makhani is a delicious, rich and creamy Indian curry recipe. The paneer (cottage cheese) simmered in thick and luscious makhani gravy to make the widely popular paneer butter masala. 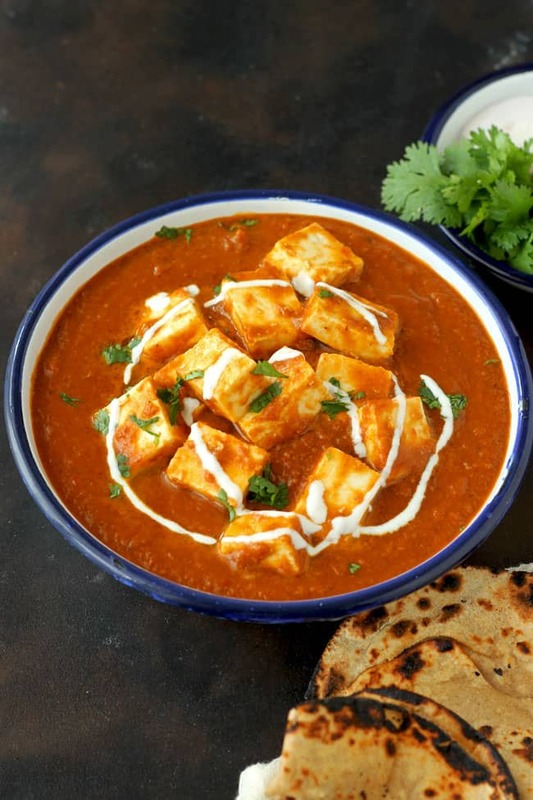 If you are a paneer lover then this paneer makhani recipe is worth bookmarking to make restaurant style paneer butter masala at home. Serve it with jeera rice, naan or lachha paratha for an indulgent meal. We are a family that love Indian food to the core. The rich, restaurant style Indian curries are always in demand for family get-togethers and dinner parties. This paneer makhani is one of those Indian food recipes that I have made so many times on different occasions and each time it has got me tons of compliments. According to Google, there are millions of result when you search for a ‘paneer makhani recipe’. So what makes this one so special? – The homemade makhani gravy masala. The magical makhani masala of mine can be prepared in advance and is freezer friendly. This is the curry paste behind all my drool worthy restaurant style Indian makhani dishes. Now no need to rush to the nearby Indian restaurant for your favourite murgh makhani or paneer butter masala. Prepare a batch of makhani masala over the weekend and store in the fridge. Last minute grill the chicken or paneer and add to the makhani curry paste. And you have a delicious and decadent makhani paneer on the dinner table in just 30 minutes. Last year, I created recipes for 4 everyday Indian curry paste. These Indian curry paste have made my life so much easier when it comes to making curries on busy weekdays. Makhani masala is one of them. You have to try these curry paste to believe what I am talking about. Are paneer tikka masala and paneer butter masala the same? Most of my friends come up with this question and I must admit it is difficult to make out any difference between the two. In my opinion, the only difference between the two paneer dishes is of the grilling paneer before adding it to the gravy. In paneer tikka masala, the paneer cubes are marinated and grilled to get a smokey flavour in the gravy. Whereas, in paneer butter masala, the paneer cubes are neither grilled or fried separately. The taste, texture and colour of both Indian paneer recipes are more or less similar. 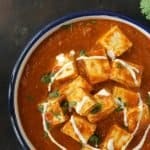 Can I make paneer makhani without onion/garlic? 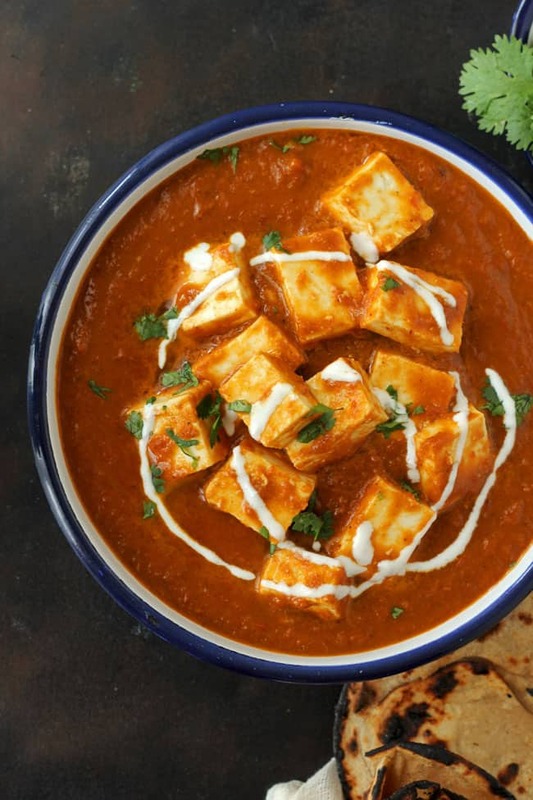 Yes, a tasty paneer makhani can be prepared without using onion or garlic. The Jain Paneer Makhani Recipe of mine is a huge hit among friends and family who cook without onion/garlic. It is equally good in taste and super simple to prepare as well. 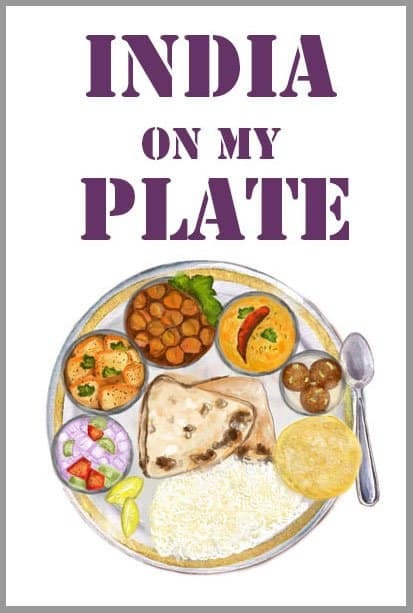 One of the best recipes for festive occasions or any kind of religious fasting menu. All you need to do is search -‘Jain Paneer Makhani’ on the home page of our website. 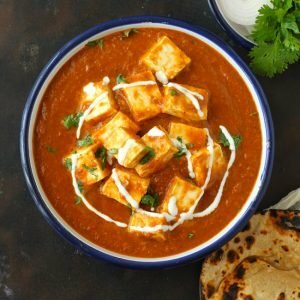 What are the best paneer recipes? Paneer Makhani is a delicious, rich and creamy Indian curry recipe. 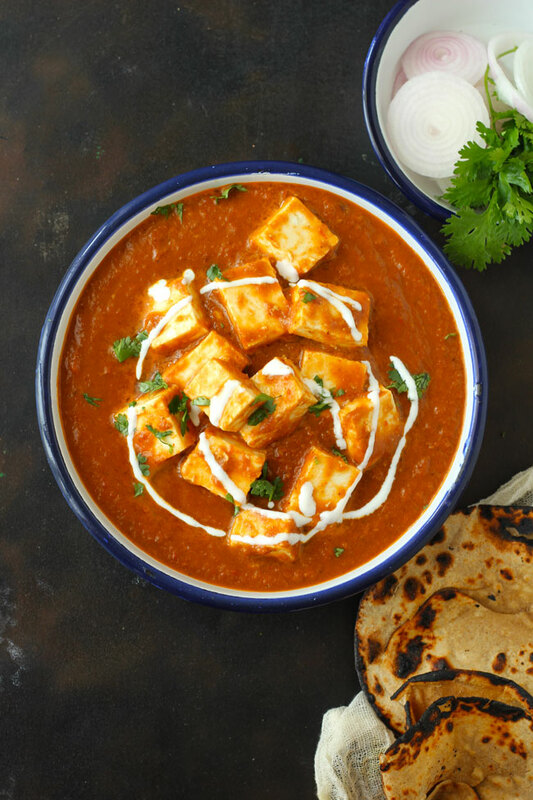 The paneer (cottage cheese) simmered in thick and luscious makhani gravy to make the widely popular paneer butter masala. Cut the paneer into equal size cubes and set aside. Next, prepare the makhani masala as suggested in the recipe here. Heat butter or ghee in a pan over medium flame. Add bay leaf along with the makhani masala. Stir to combine and cook the masala over low heat for 4 - 5 minutes. Now add the cream, salt to taste, garam masala, paneer cubes and milk. Mix nicely and allow the makhani gravy to simmer for 10 - 15 minutes over low heat. Keep stirring at regular intervals. Once the makhani gravy gets the desired consistency, turn off the heat. Add crushed kasuri methi and stir to combine. Garnish paneer makhani with cream and fresh coriander leaves just before serving. 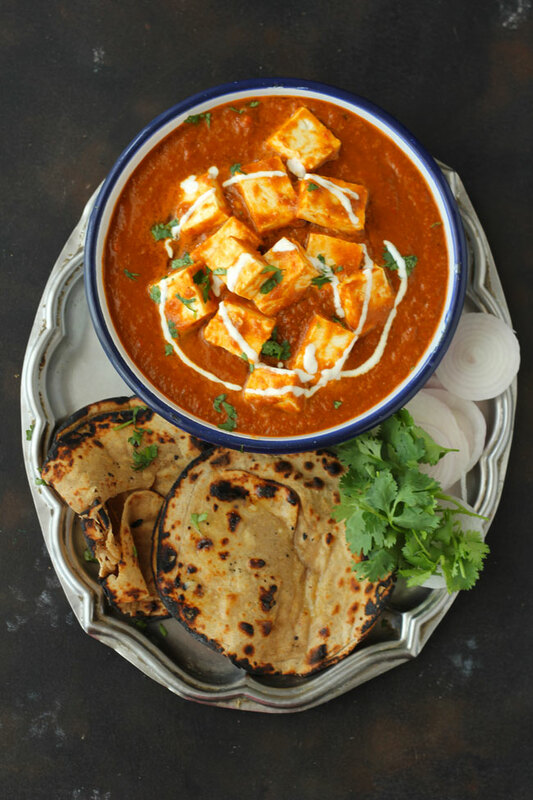 Serve Paneer Makhani with naan, jeera rice or lachha paratha. Makhani Masala can be prepared few days before as well and can be stored in the fridge. Or you can make it from scratch just before making the dish. If you prefer makhani gravy real thick then skip adding milk. I add milk to tone down the thickness of the gravy. Many recipes suggest marinating and frying paneer before adding in the masala. But I feel frying makes paneer chewy. So I never follow this step in any of my paneer curry recipes. Instead of fresh cream, you can use either cashew nuts paste/poppy seeds paste to make a rich and creamy makhani gravy.